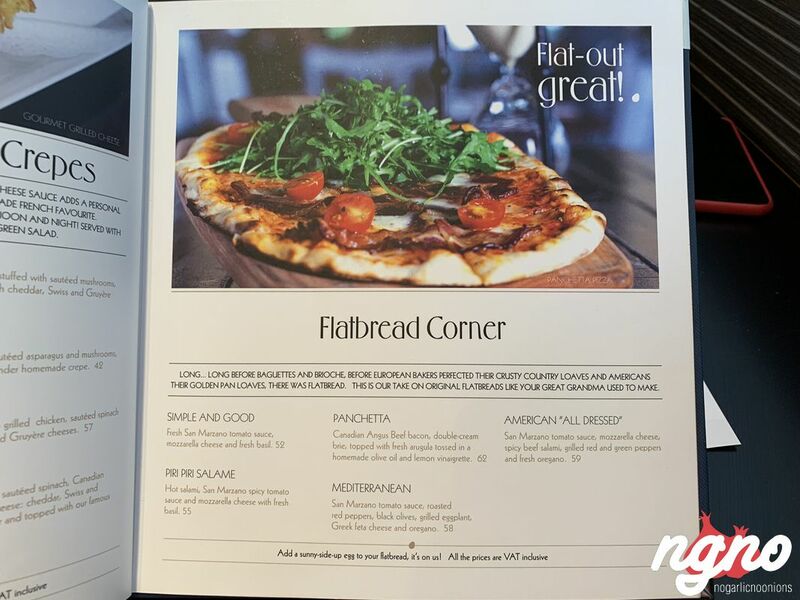 3.15 out of 5 based on 1 professional review. 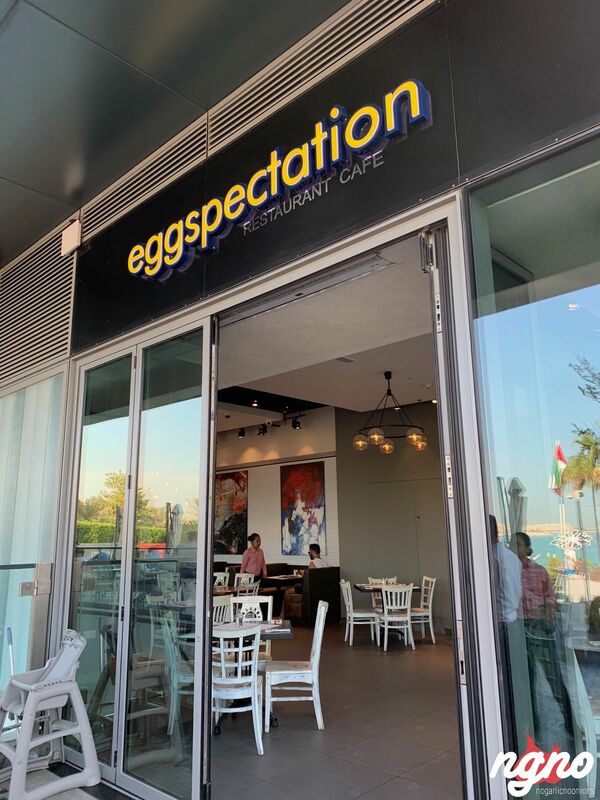 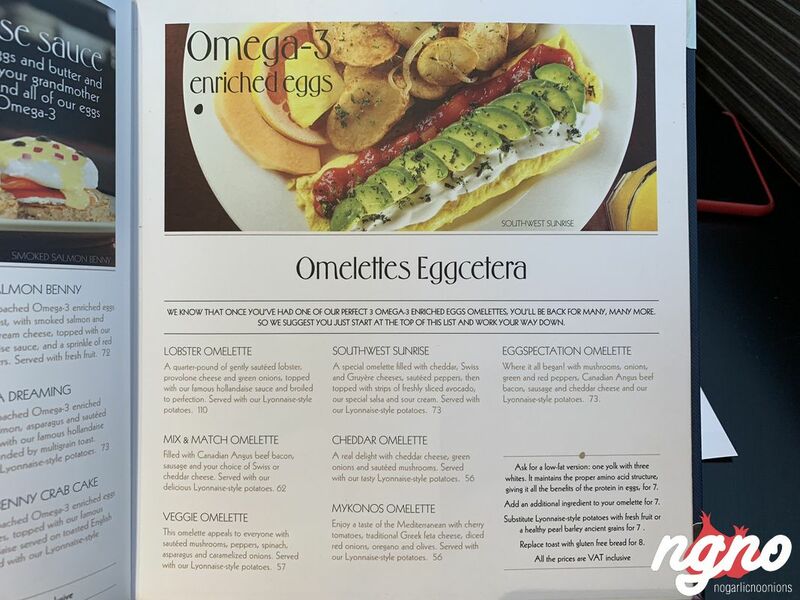 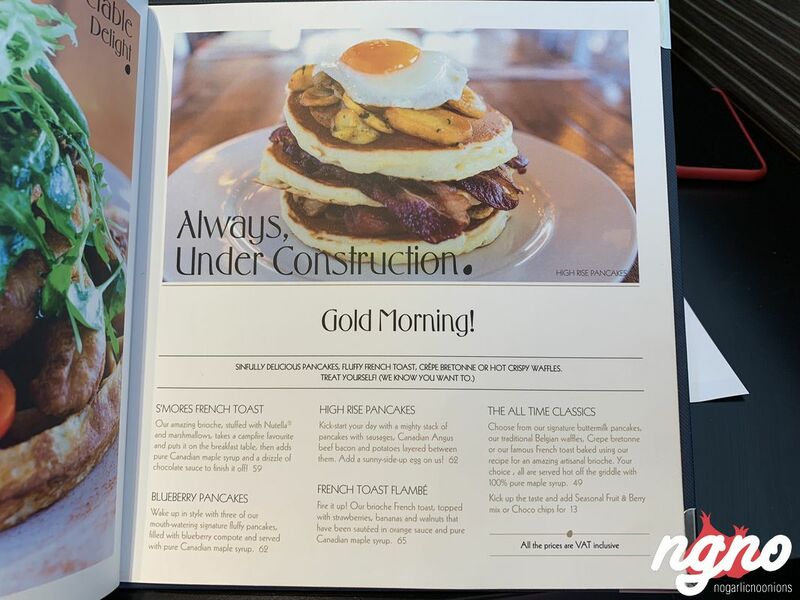 It has eggs in its title, but it’s not only a breakfast restaurant. 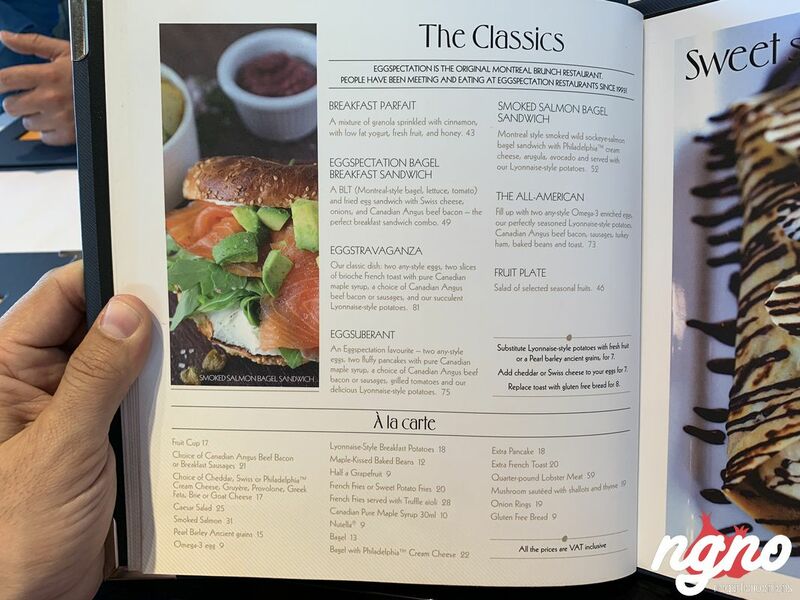 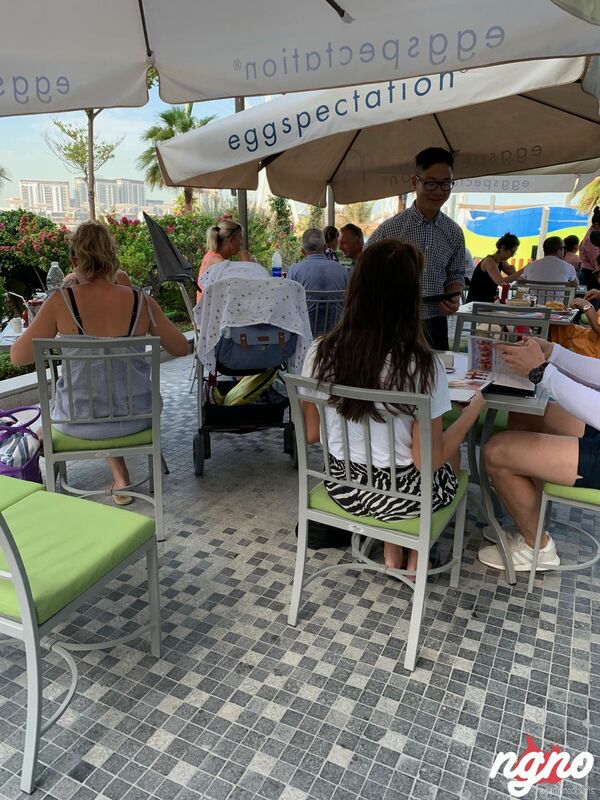 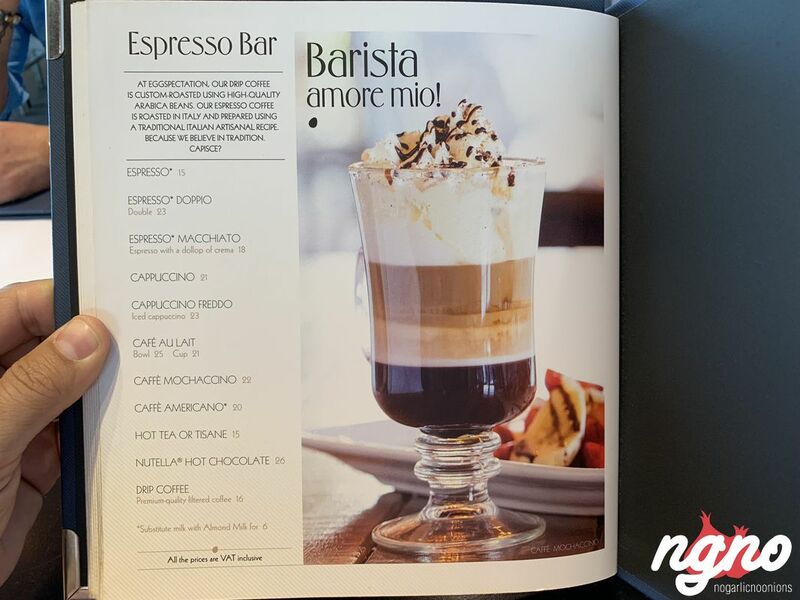 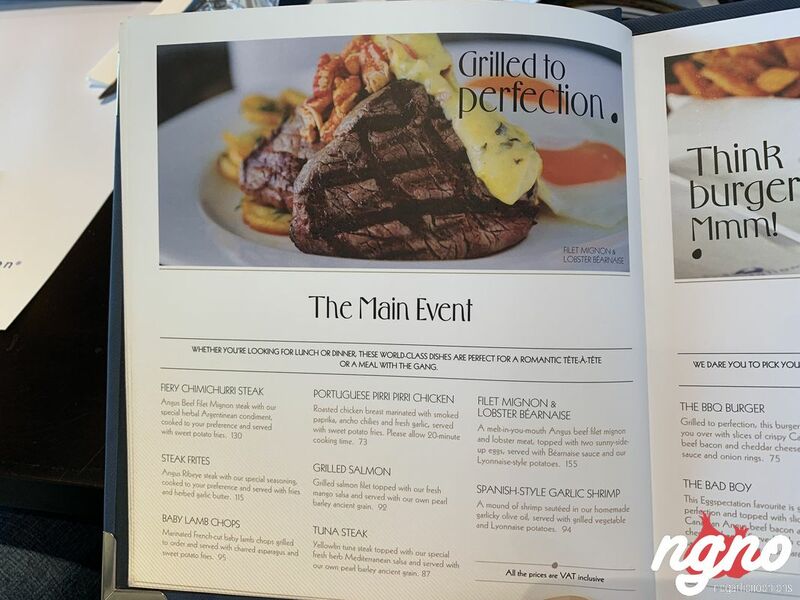 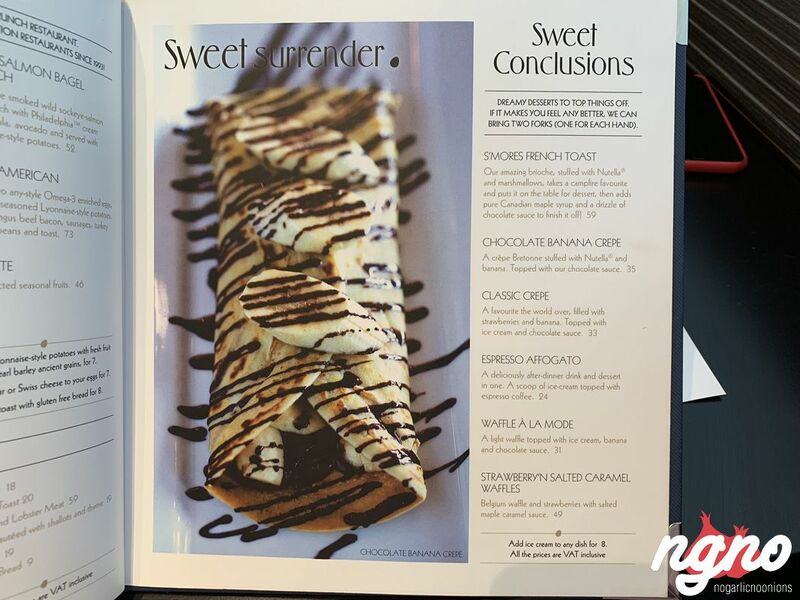 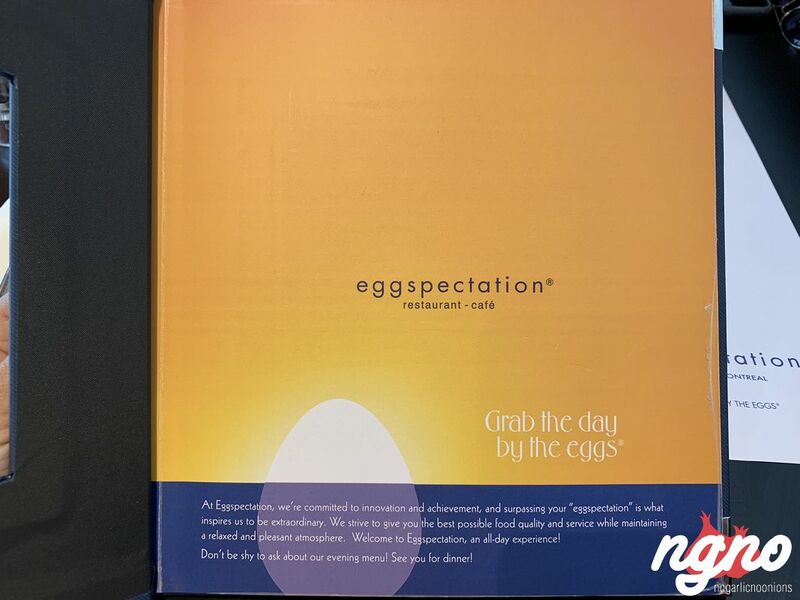 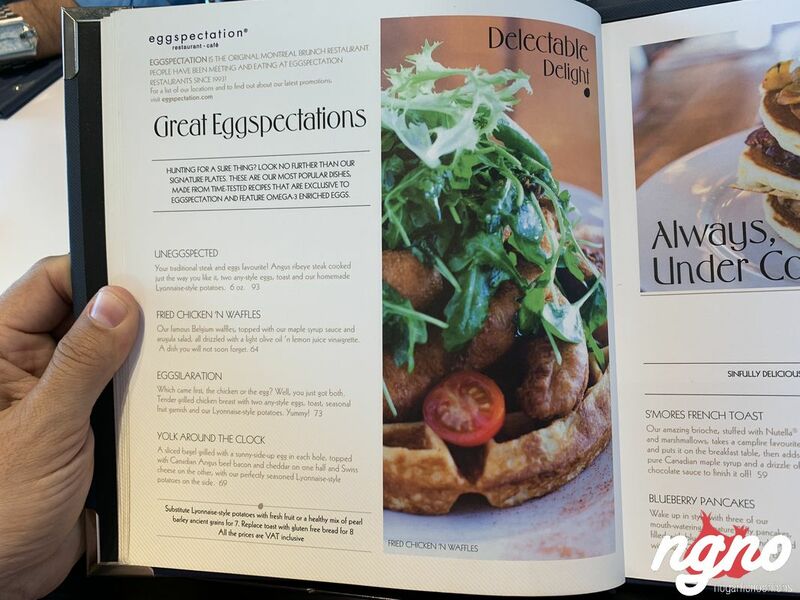 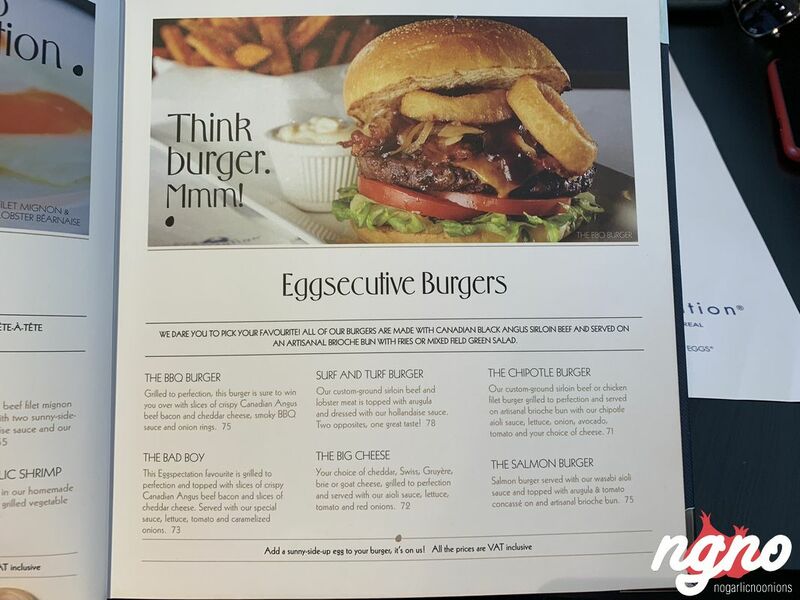 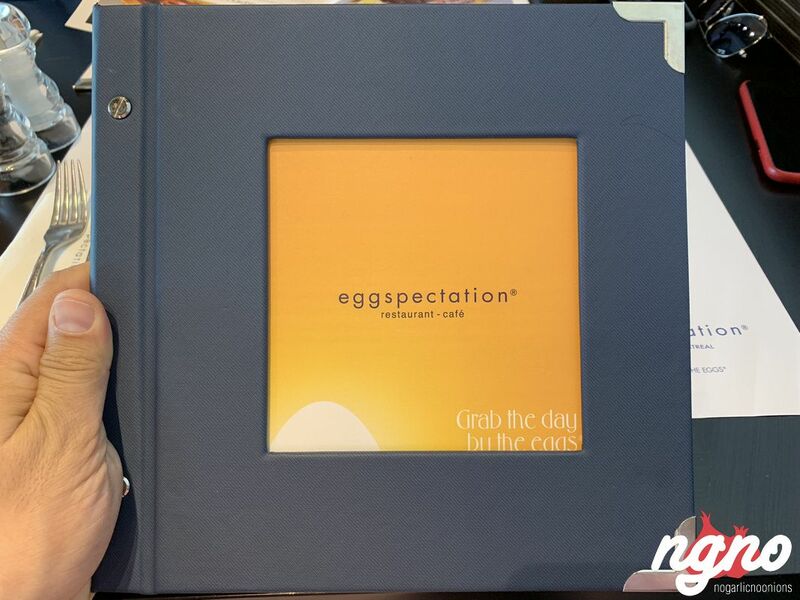 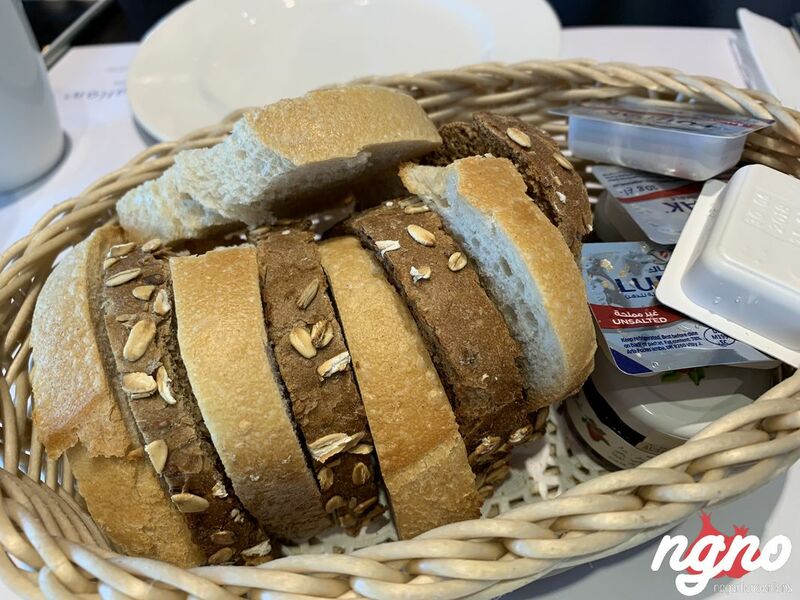 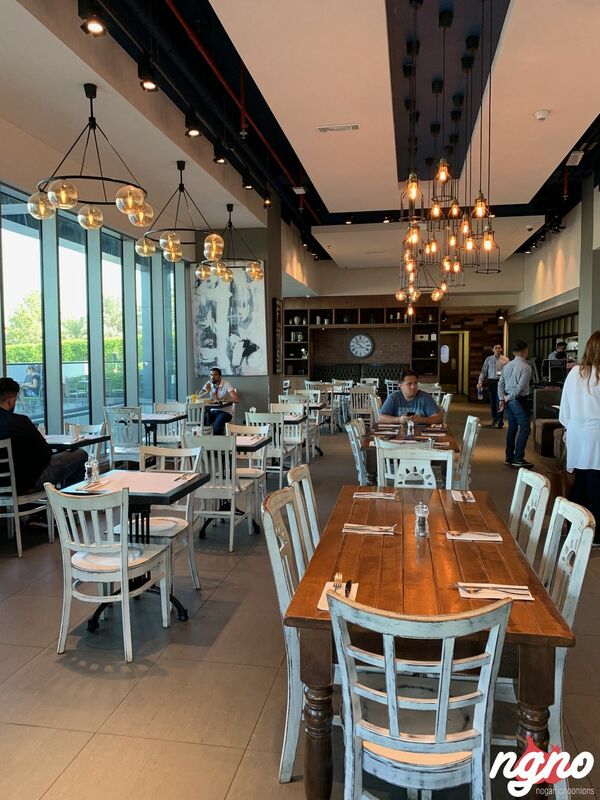 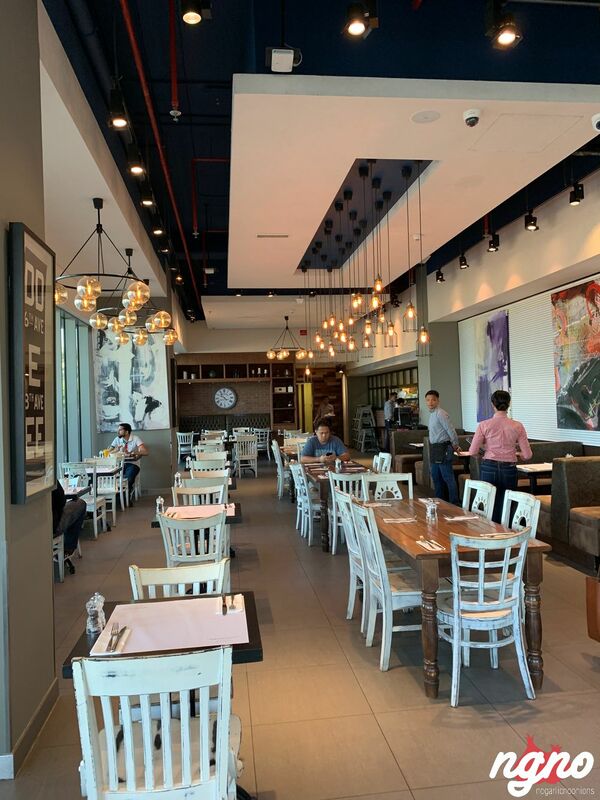 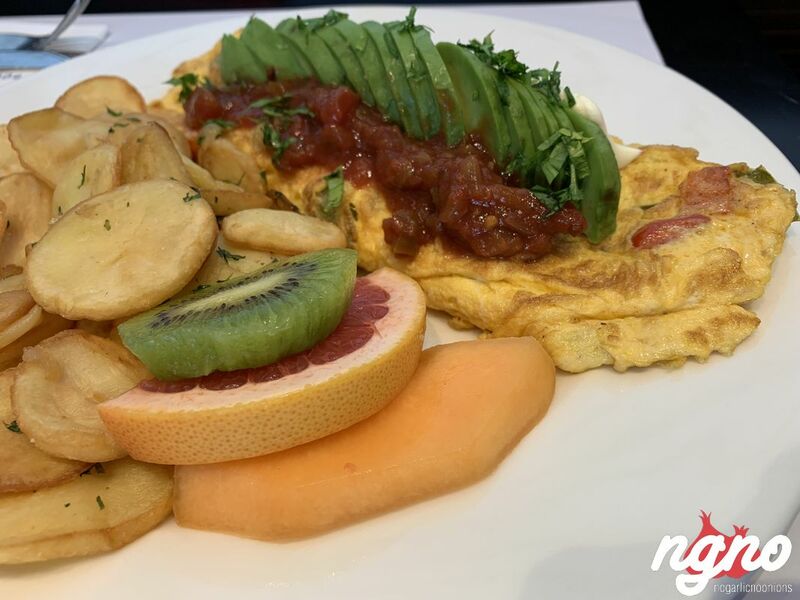 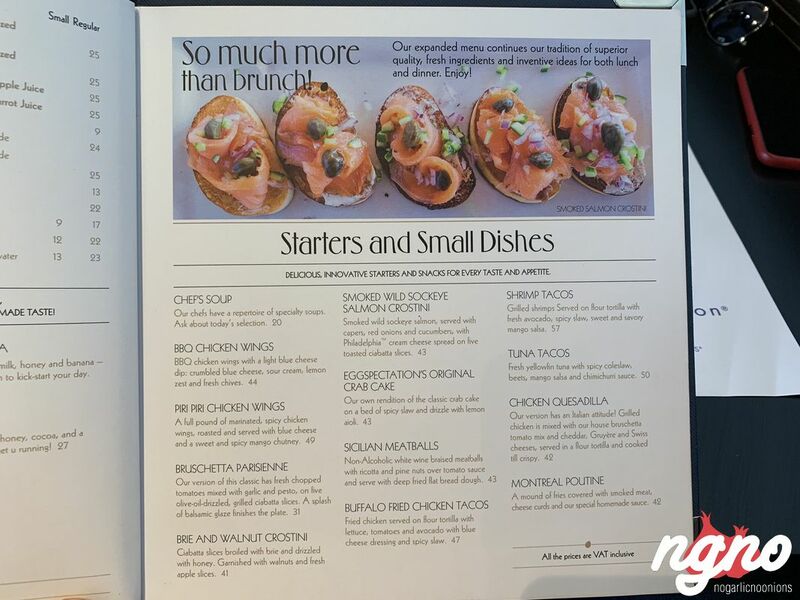 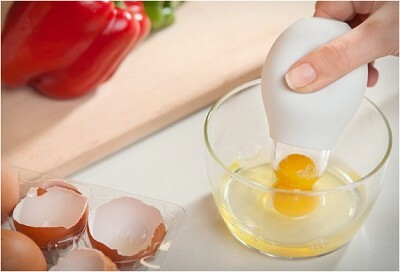 Eggs all day long, burgers, fries and desserts, Eggspectation is specialized in “eggs” and beyond. 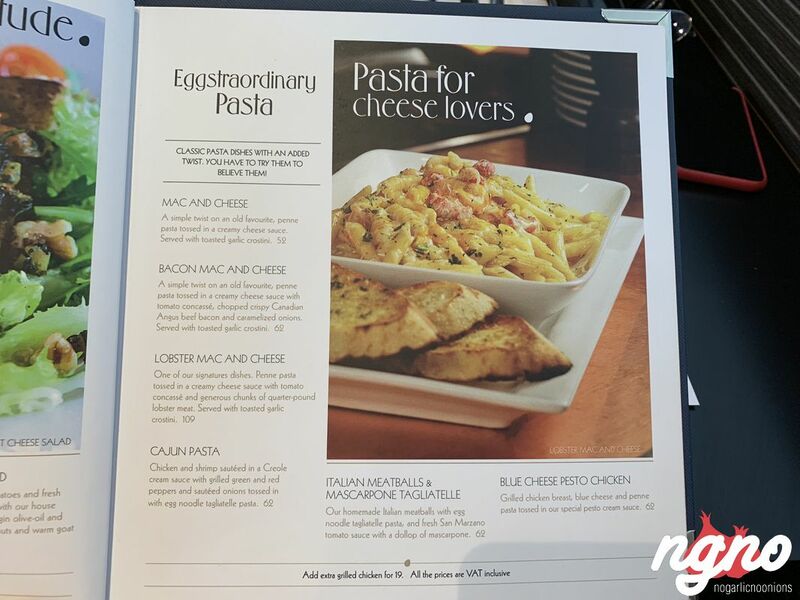 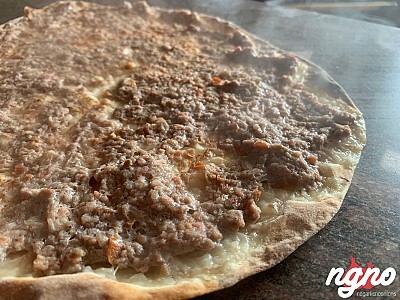 Imported from Canada, the restaurant has become world famous. 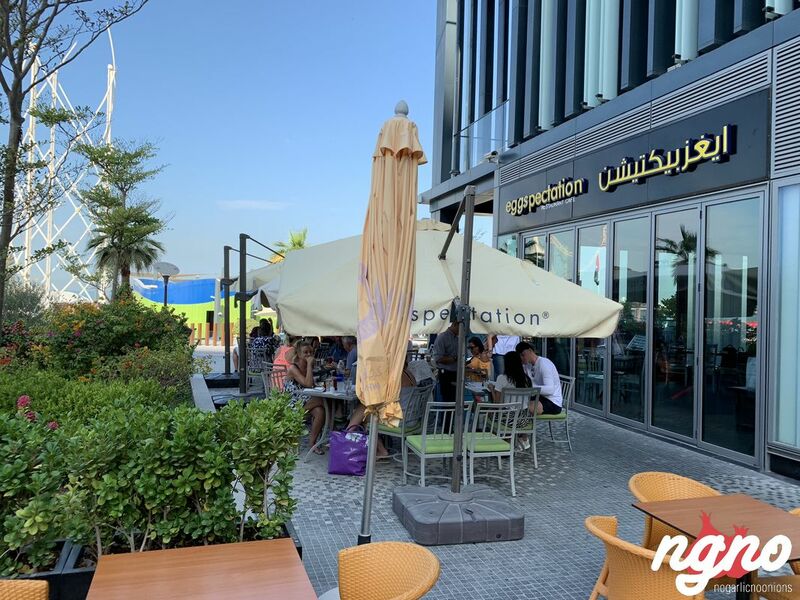 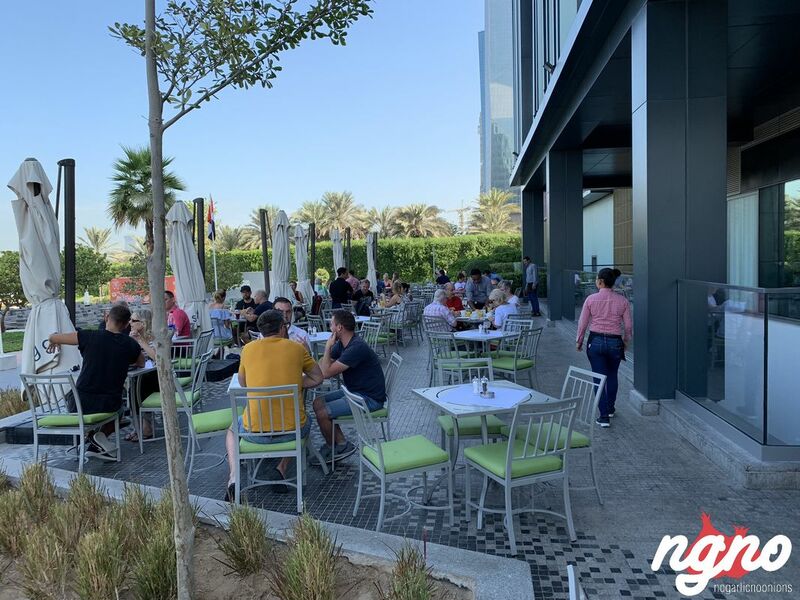 Located at JBR, the beach Dubai, people were enjoying their time on the terrace on a Sunday morning. 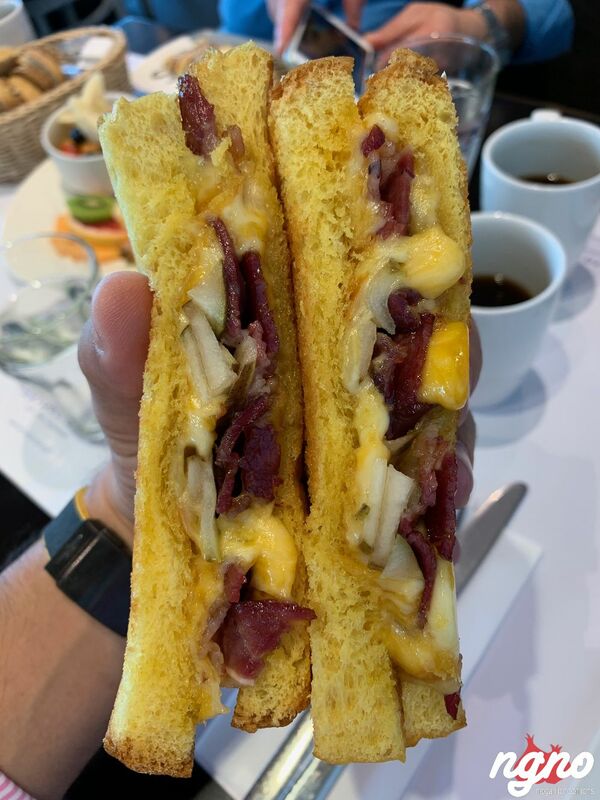 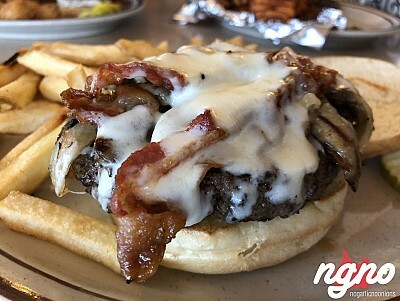 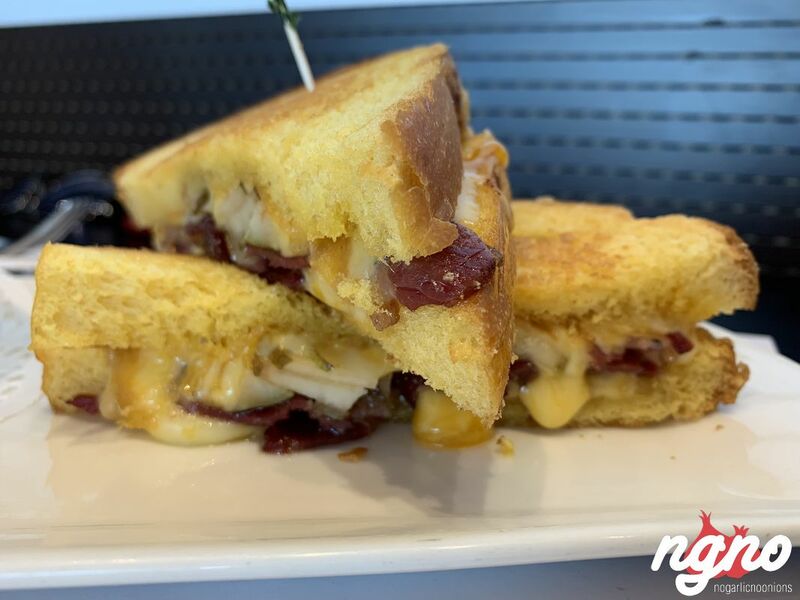 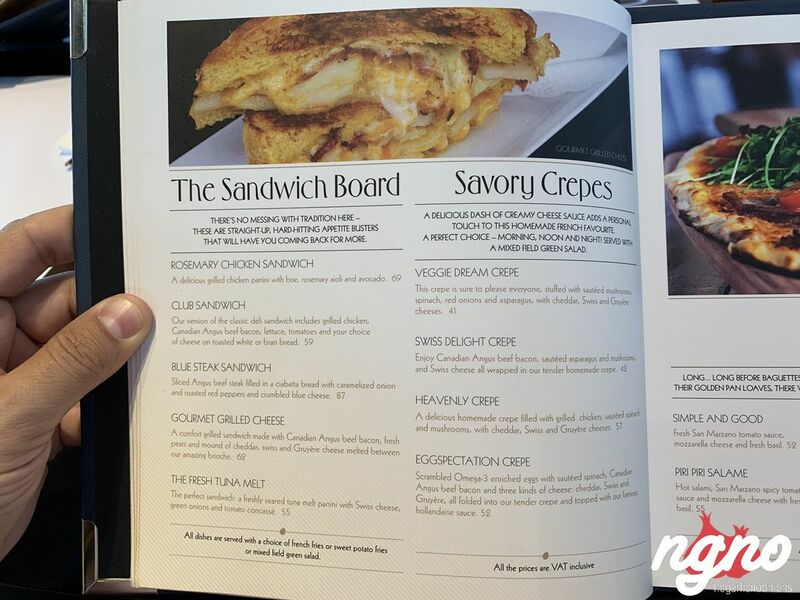 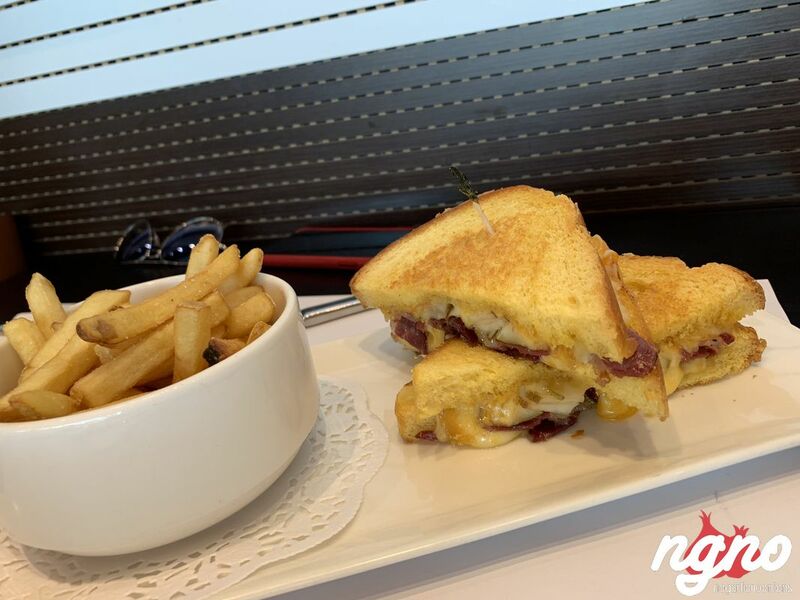 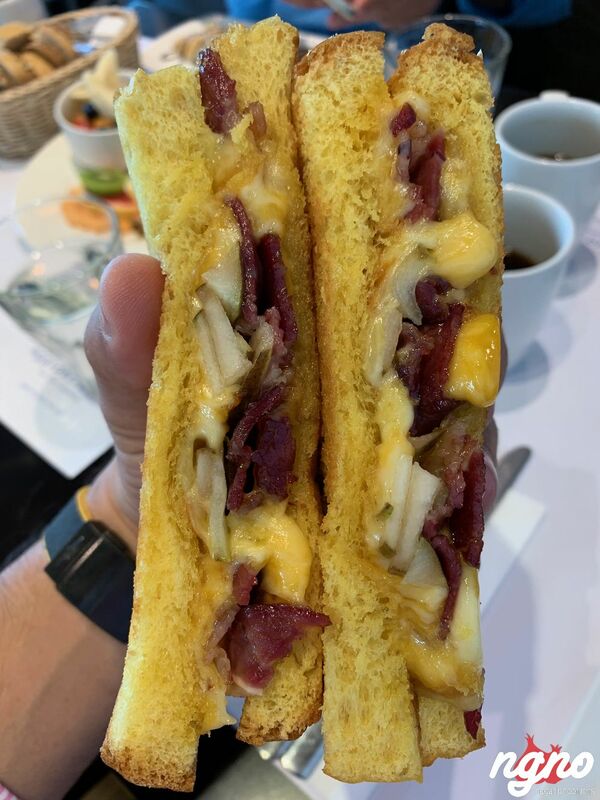 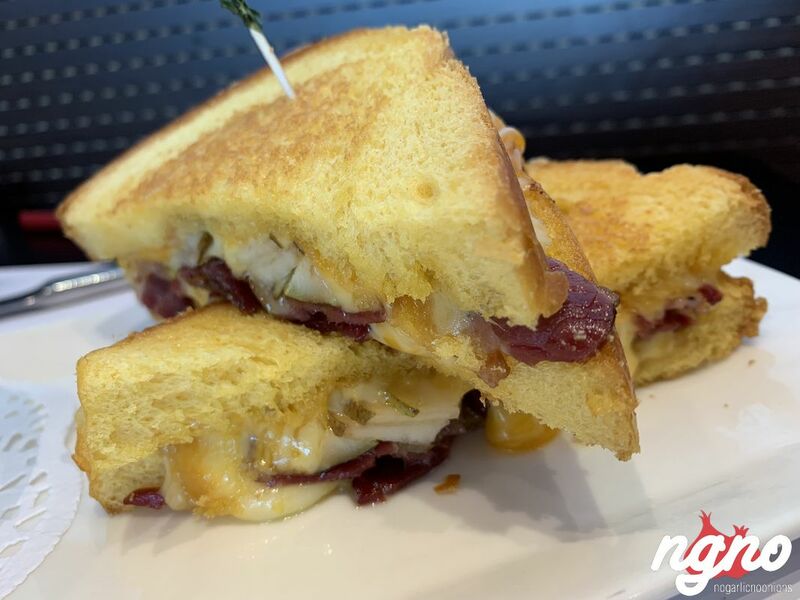 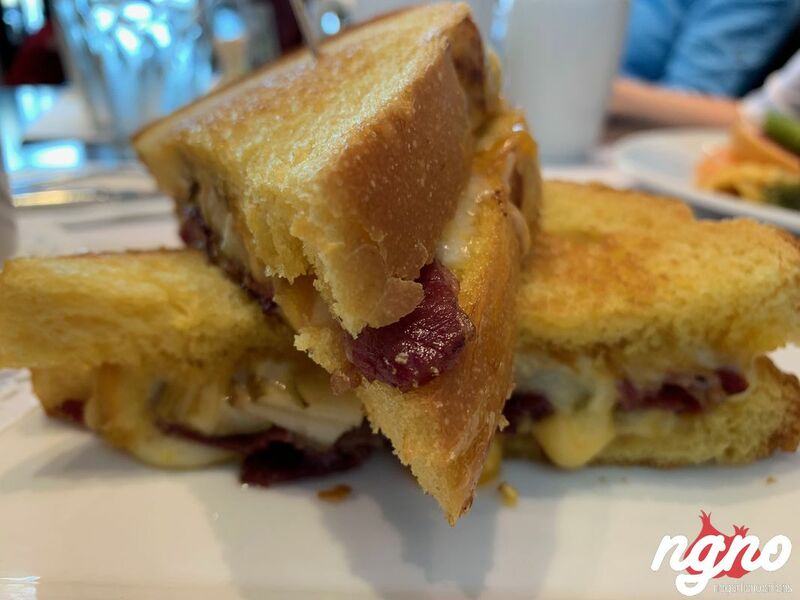 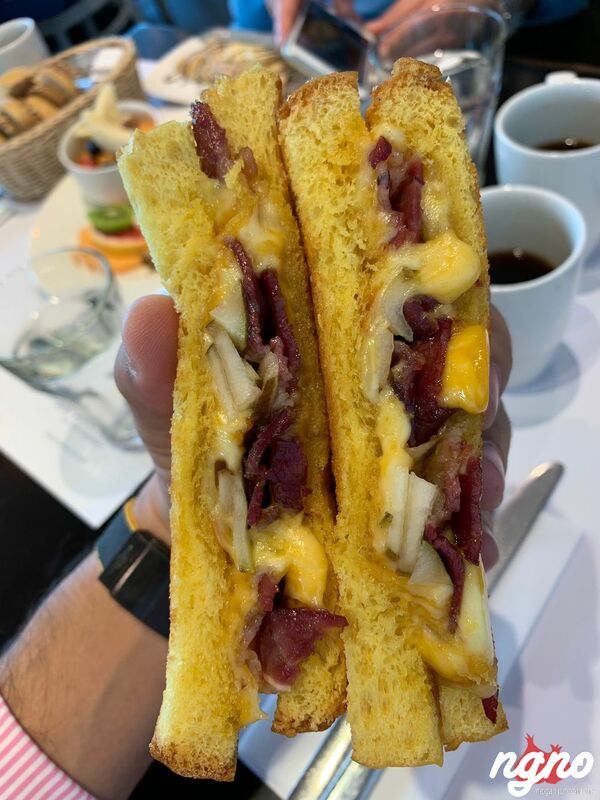 Gourmet grilled cheese: a comfort grilled sandwich made with Canadian angus beef bacon, fresh pears and mound of cheddar, Swiss and gruyère cheese melted between an amazing brioche. 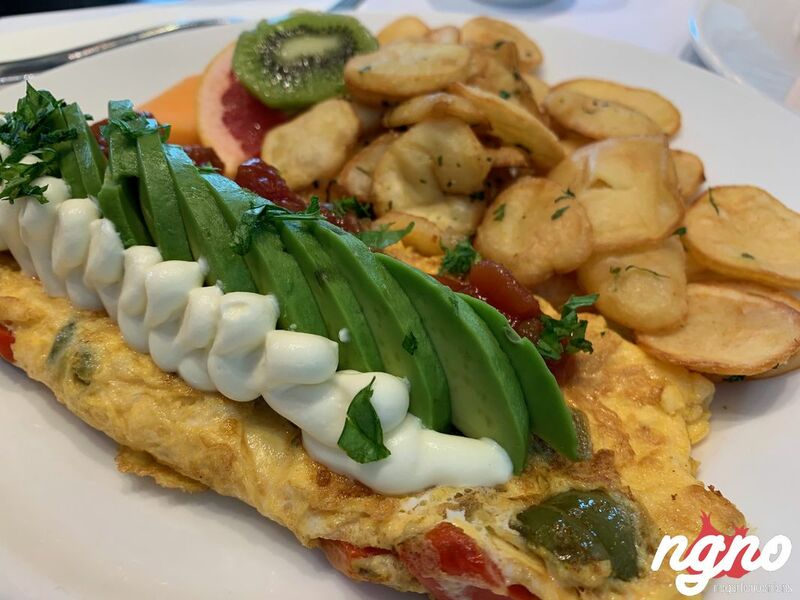 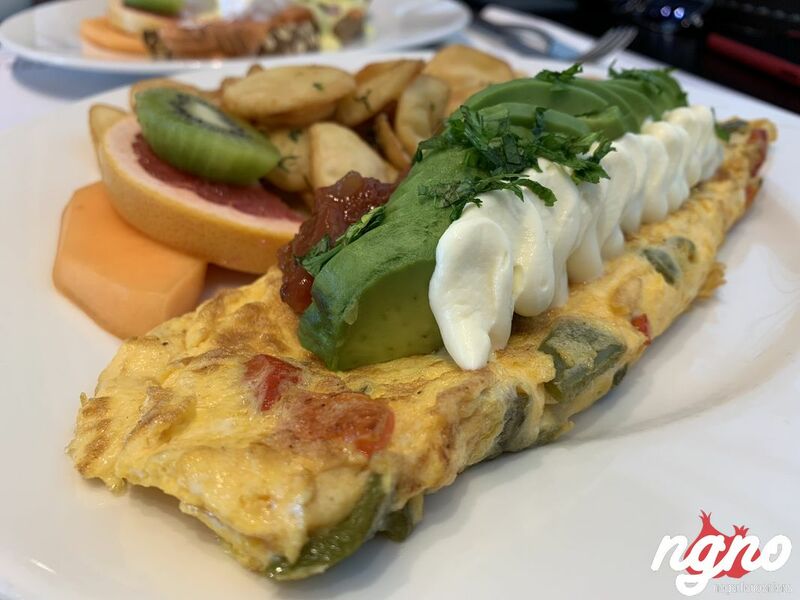 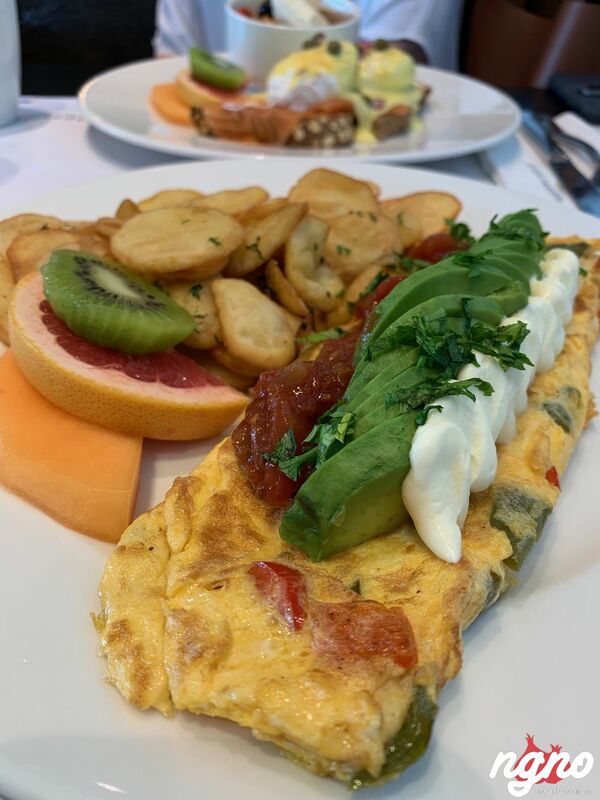 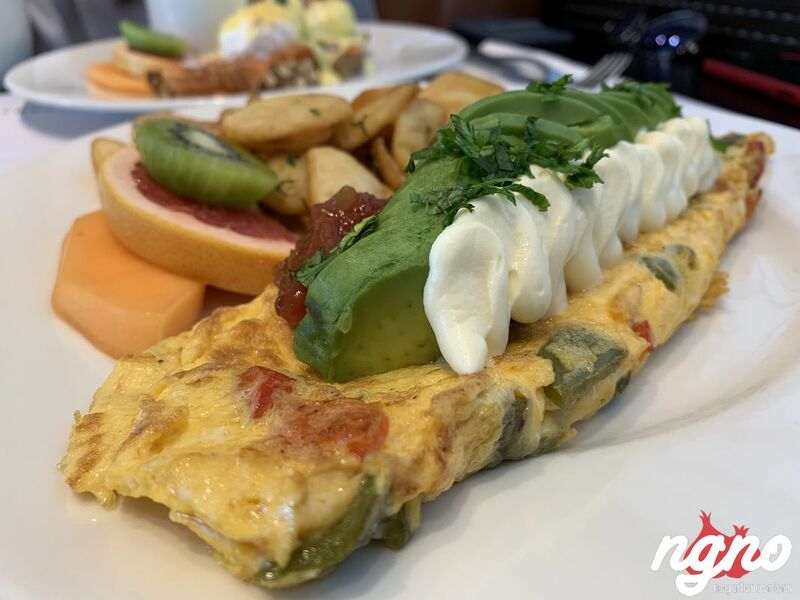 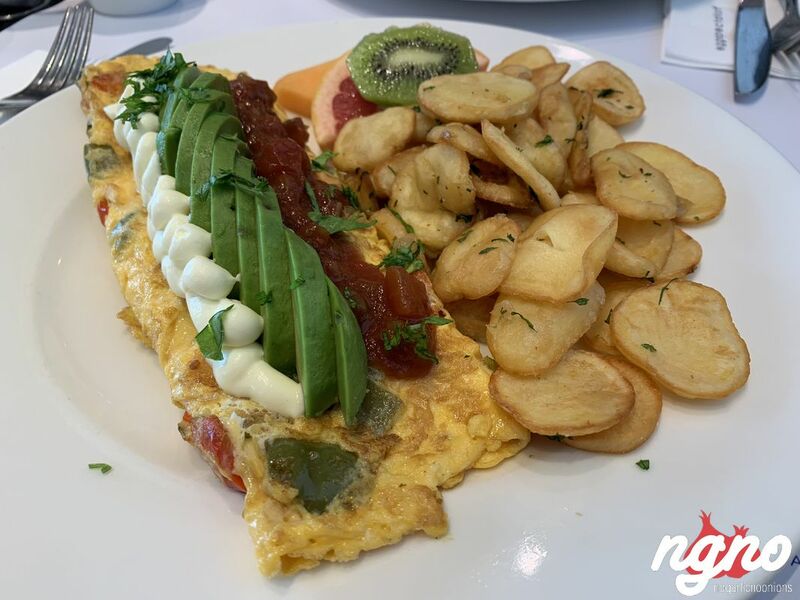 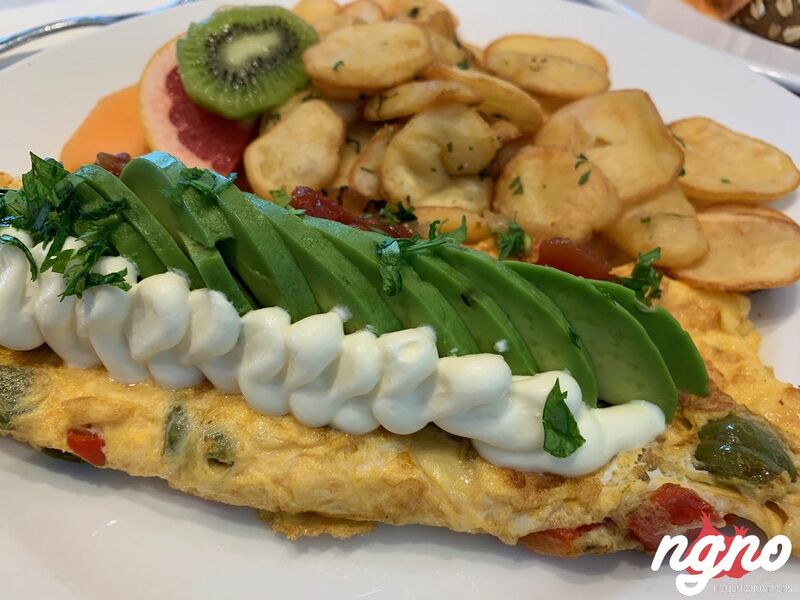 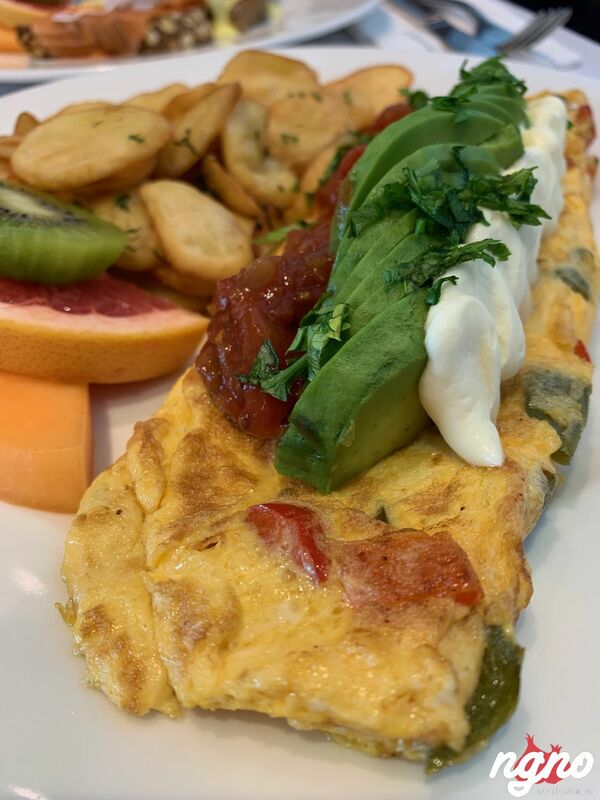 Southwest sunrise: a special omelet filled with cheddar, Swiss and gruyère cheeses, sautéed peppers, the. 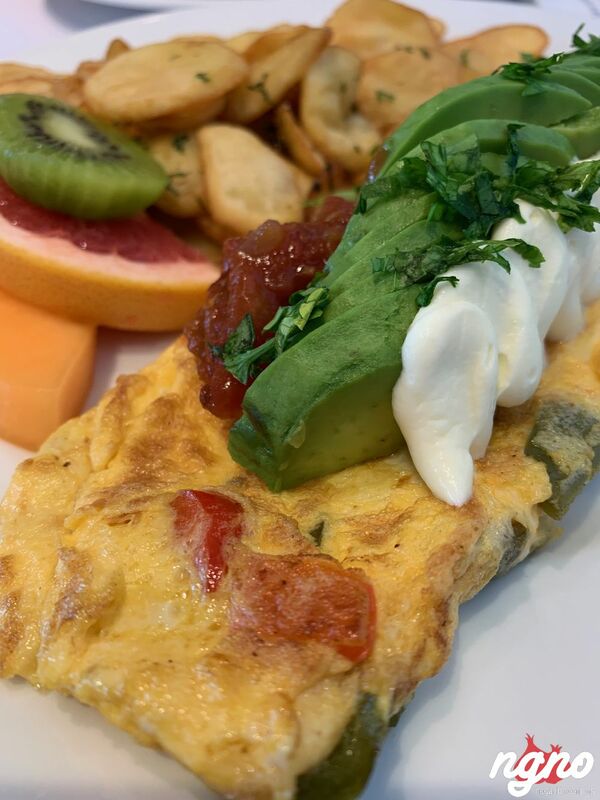 Topped with strips of freshly sliced avocado, special salsa, and sour cream. 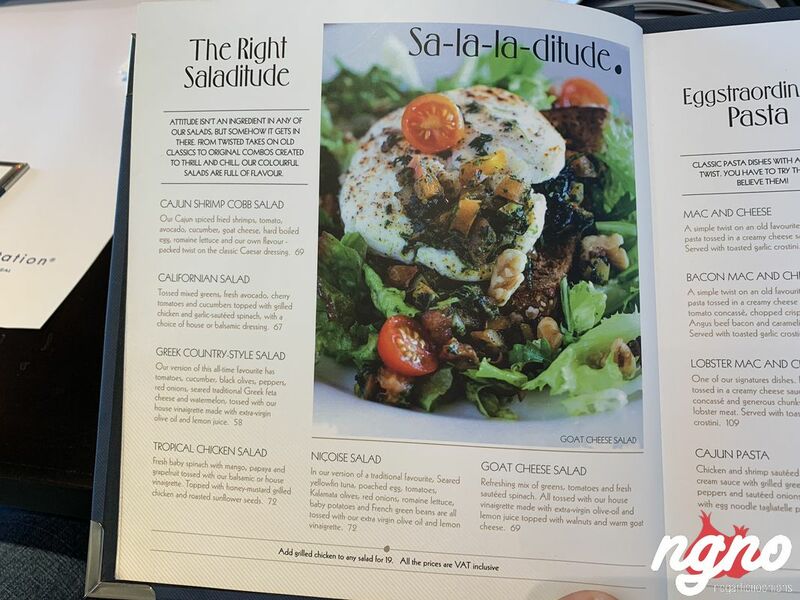 Served with lyonnaise style potatoes. 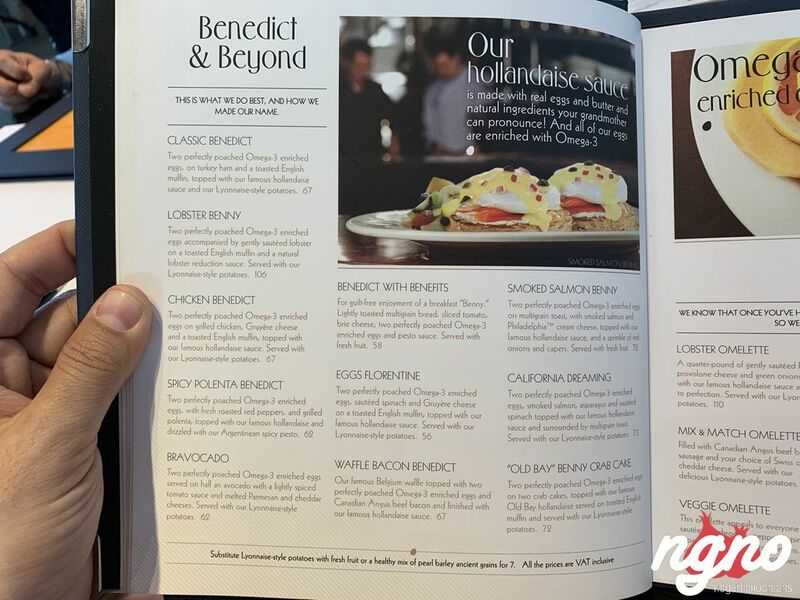 Smoked salmon Benny: two perfectly poached omega-3 enriched eggs on multigrain toast. 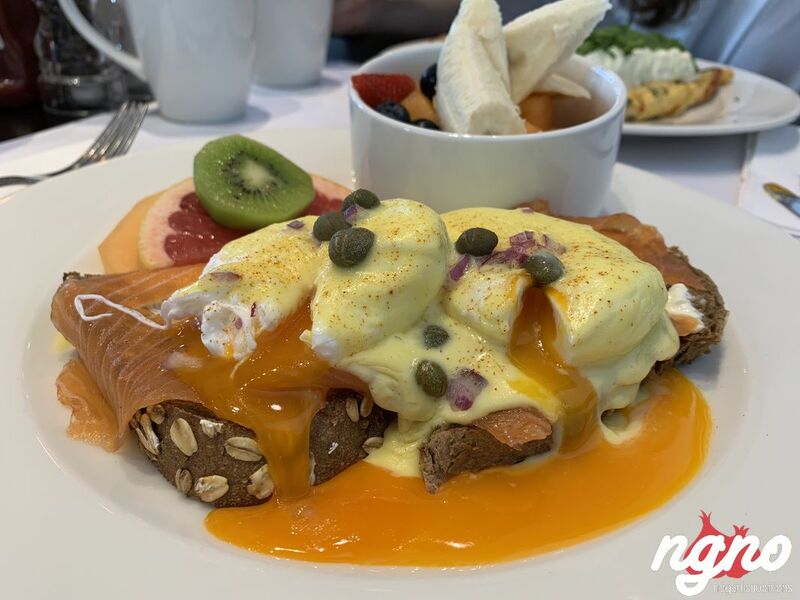 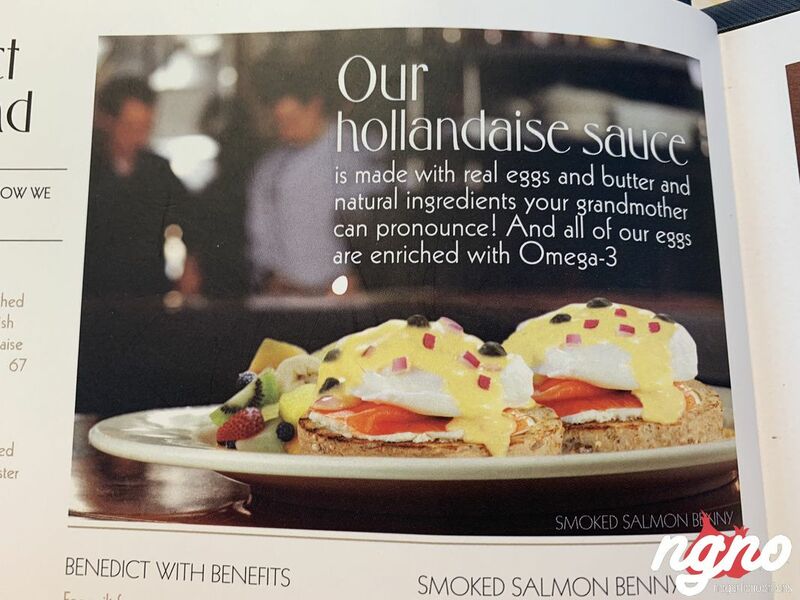 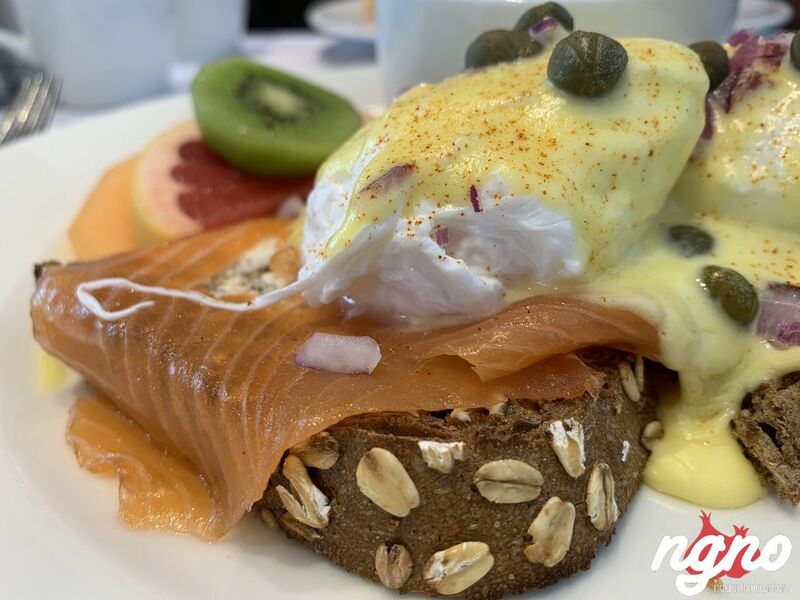 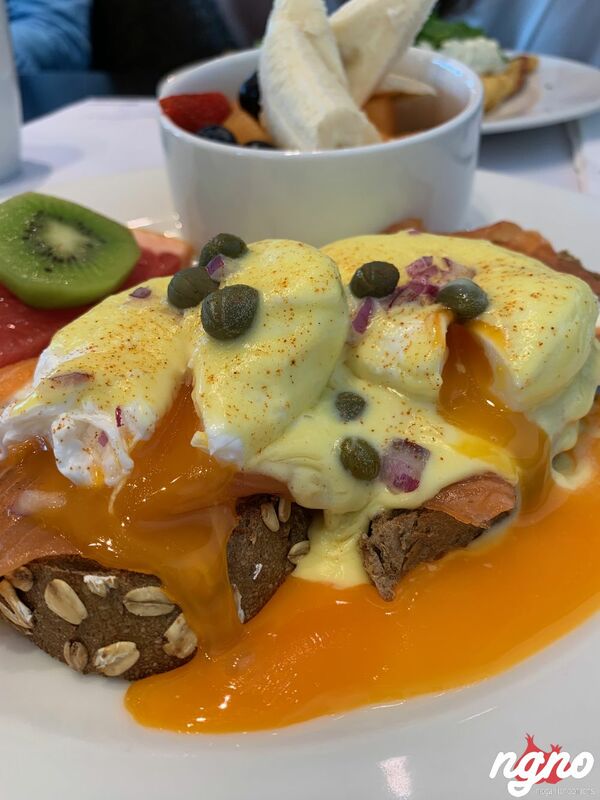 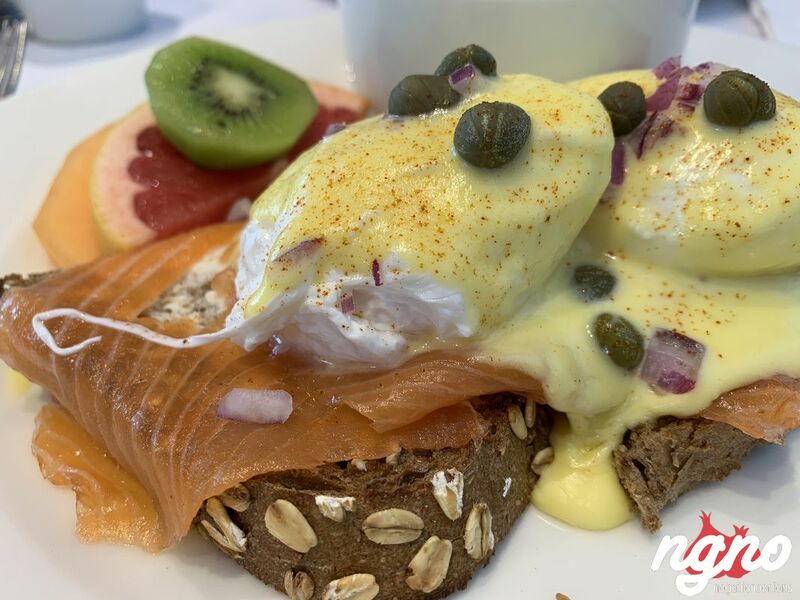 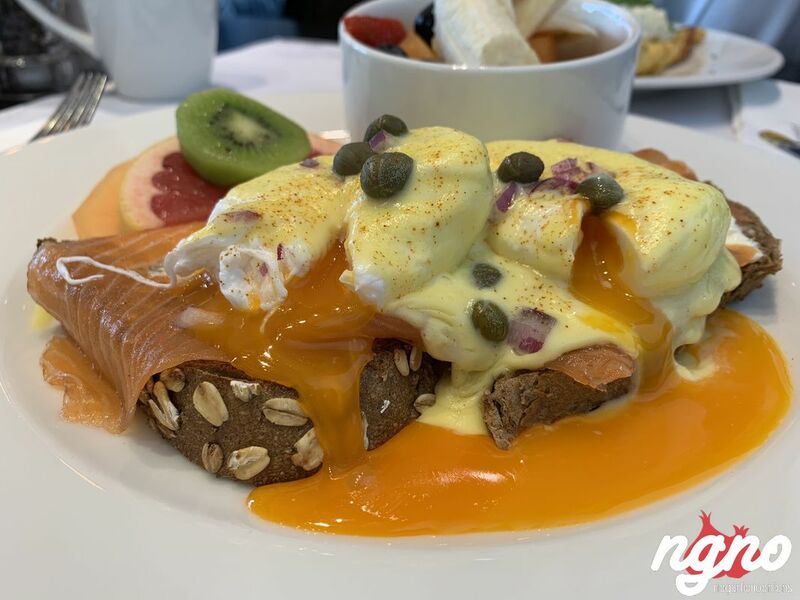 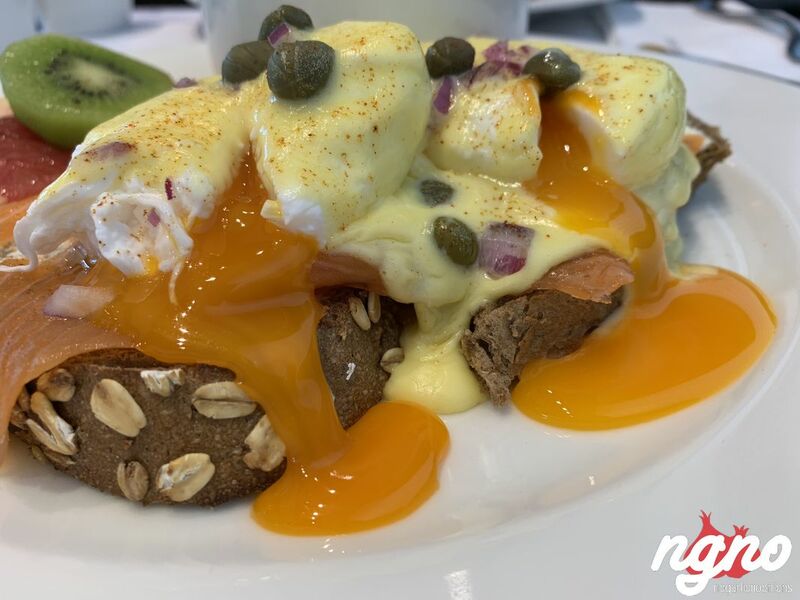 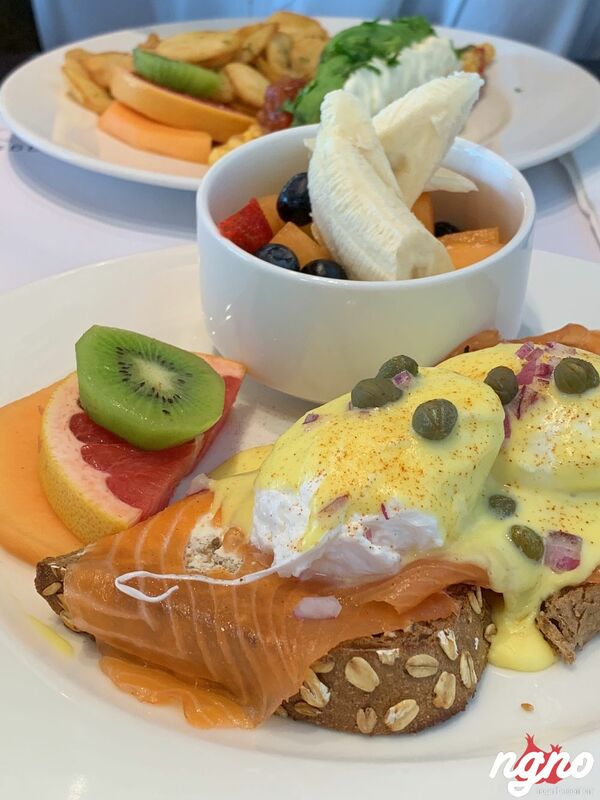 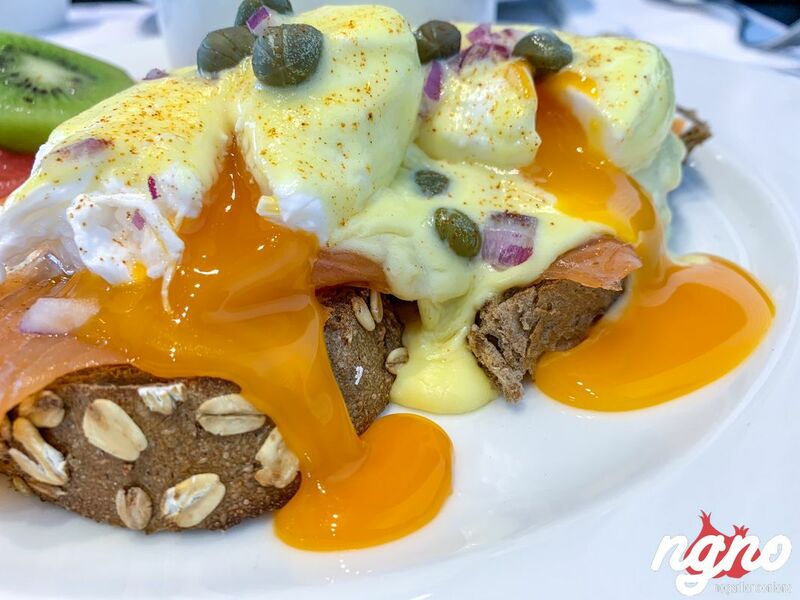 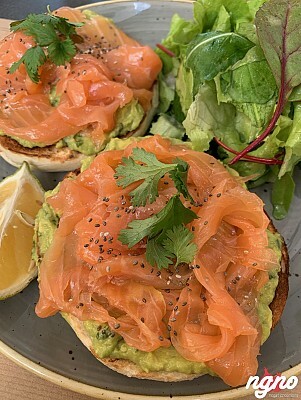 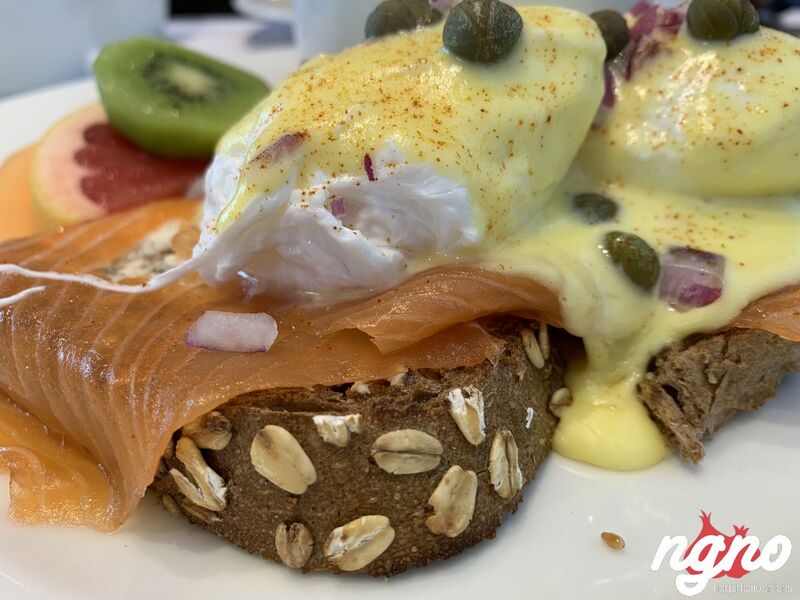 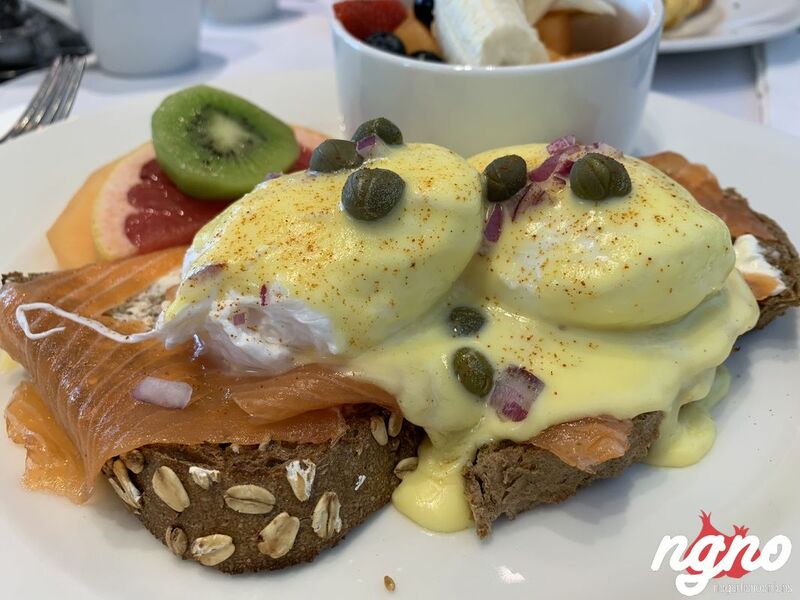 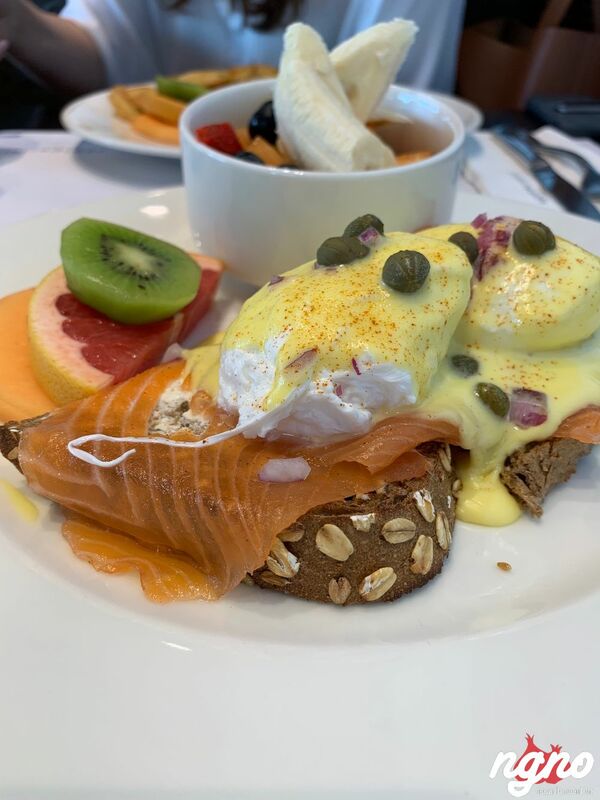 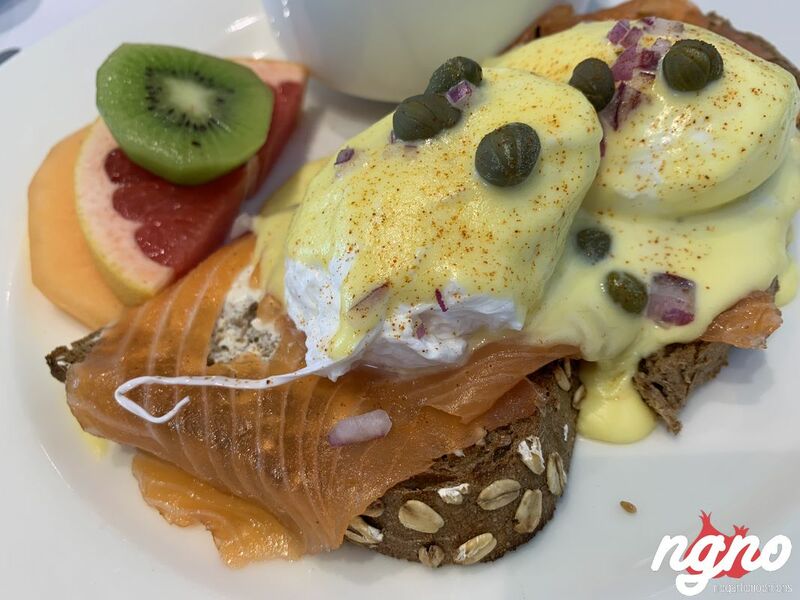 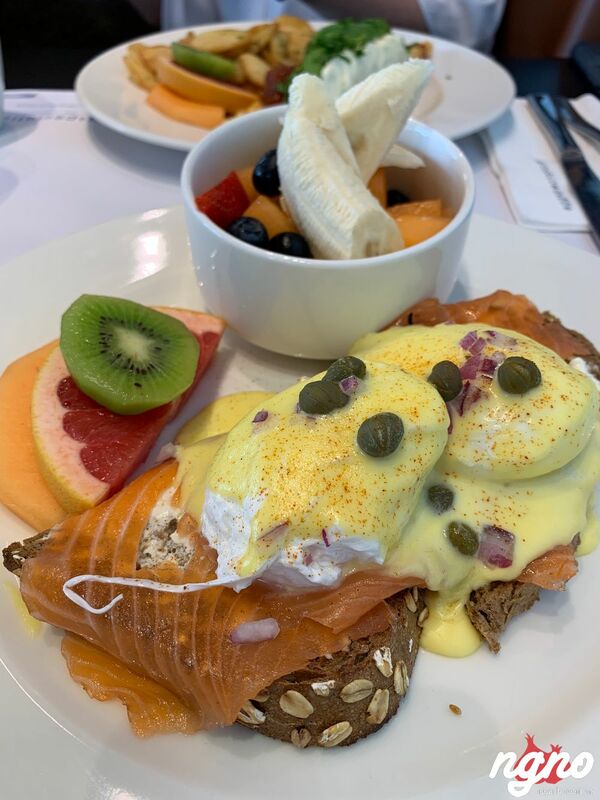 With smoked salmon and Philadelphia cream cheese, topped with the eggspecation famous hollandaise sauce, and a sprinkle of red onions and capers. 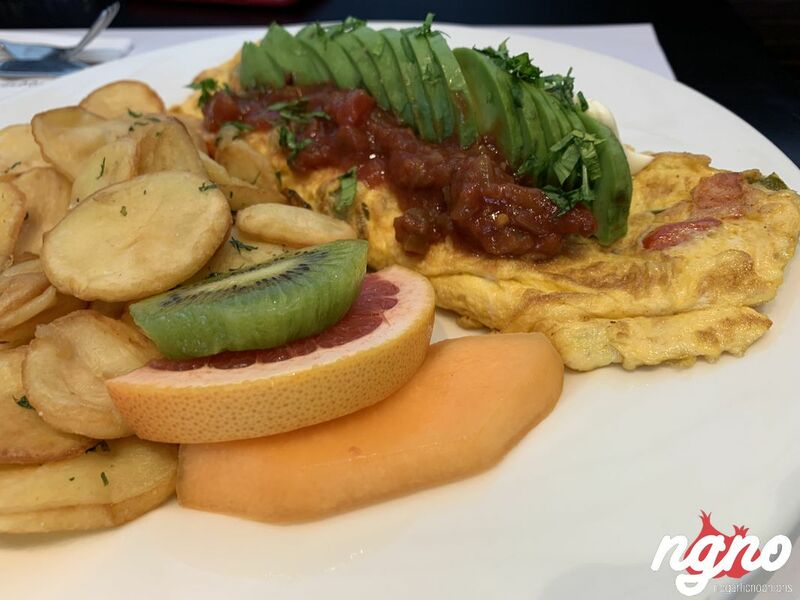 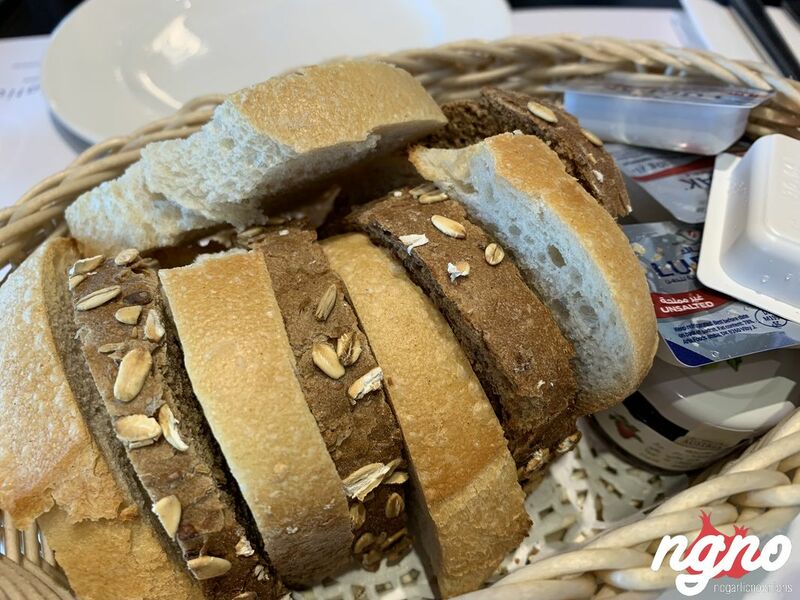 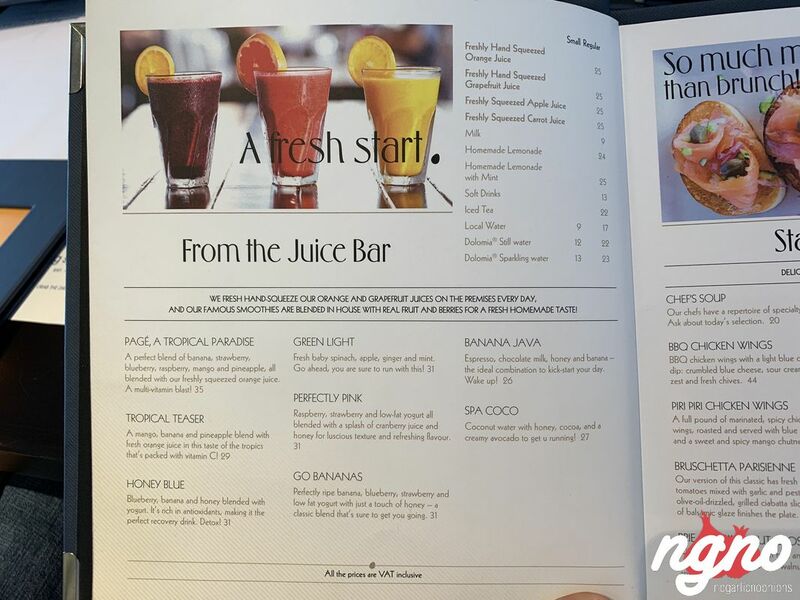 Served with fresh fruits. 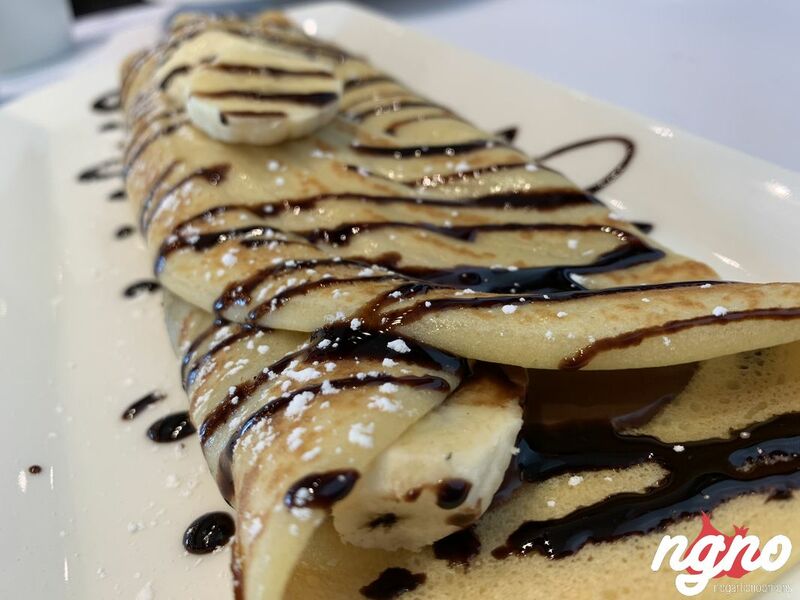 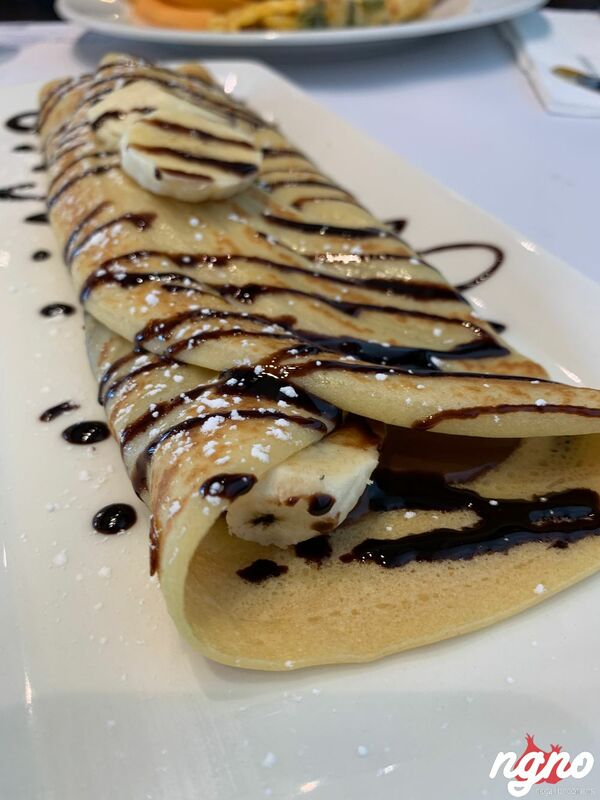 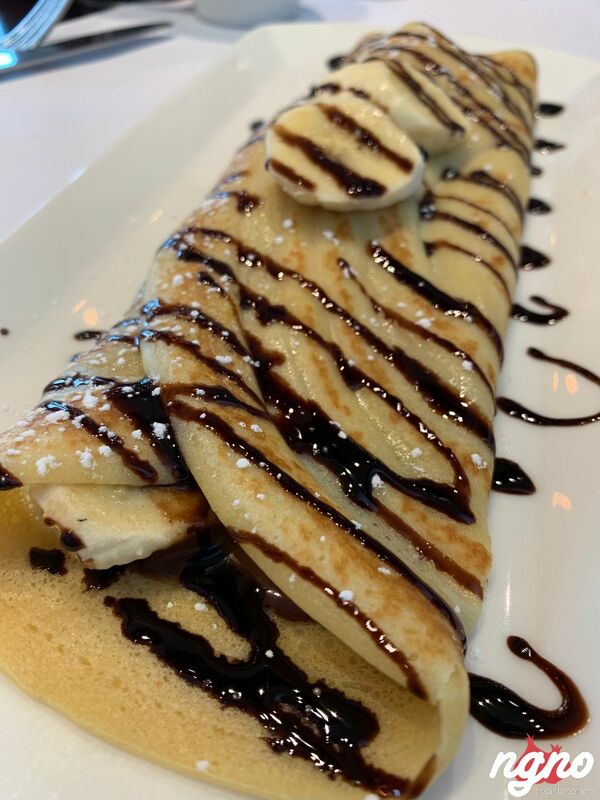 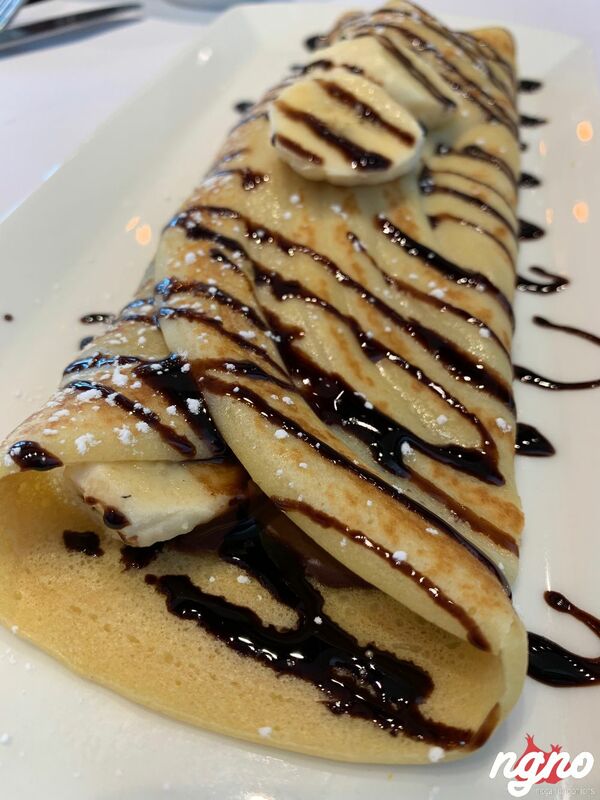 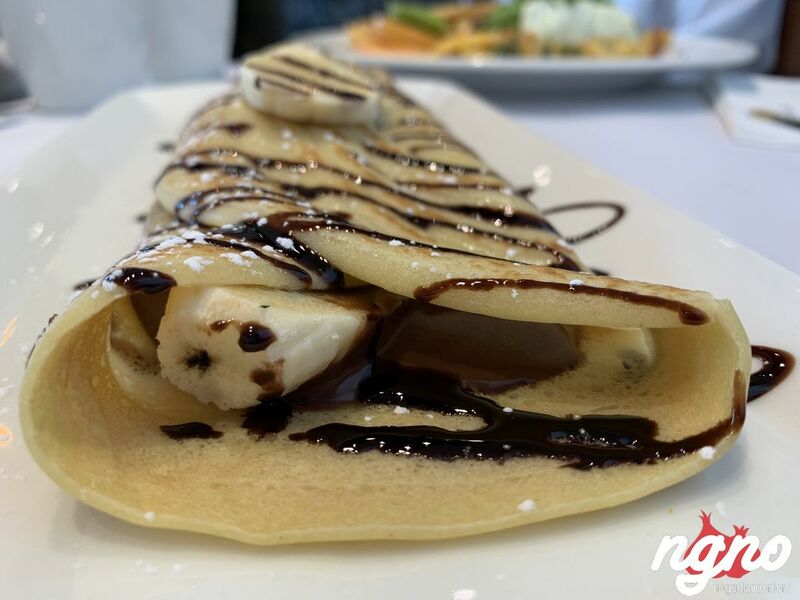 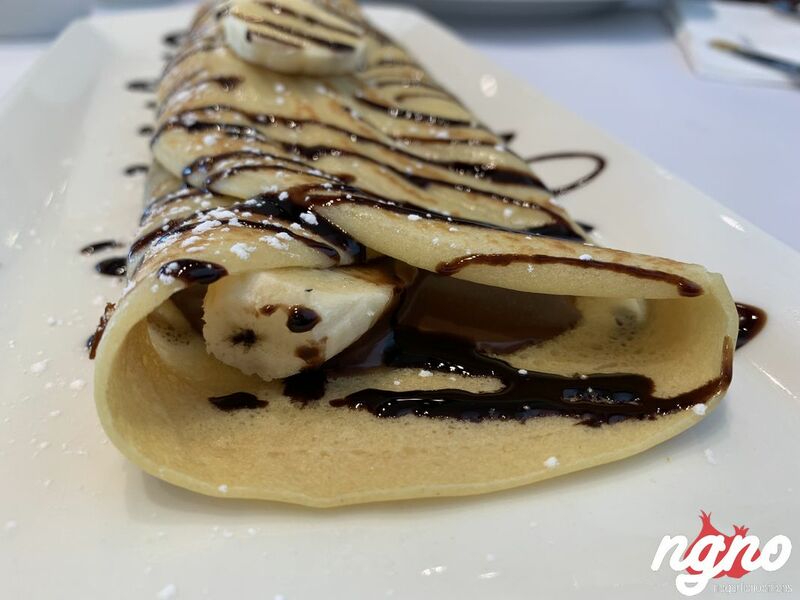 Chocolate banana crepe: a crepe Bretonne stuffed with Nutella and banana. Topped with chocolate sauce. 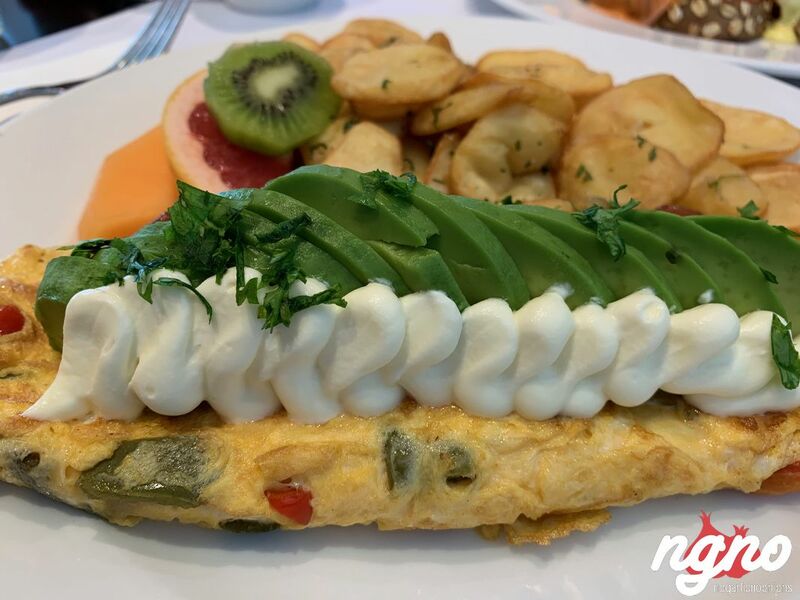 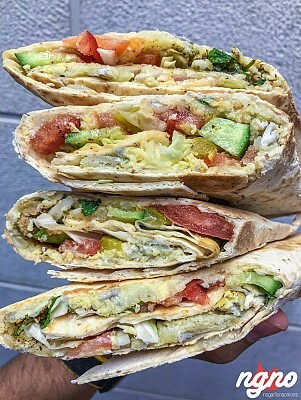 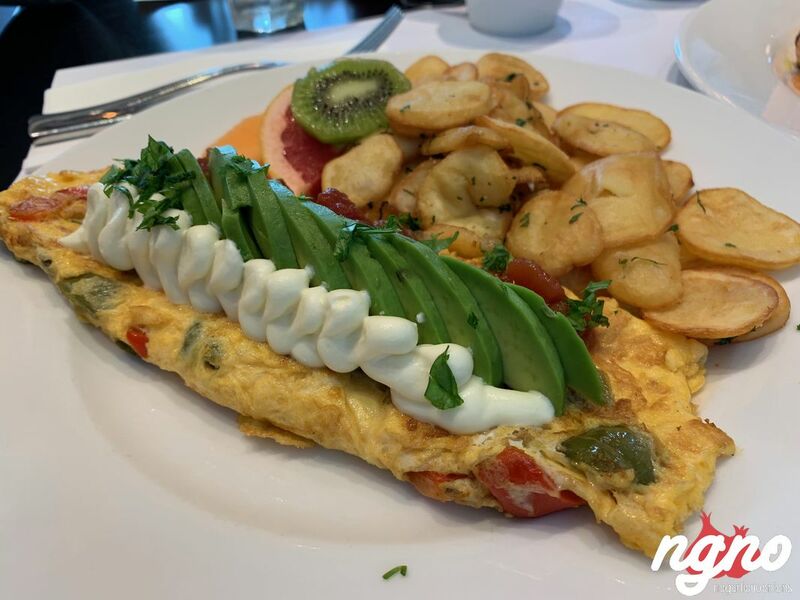 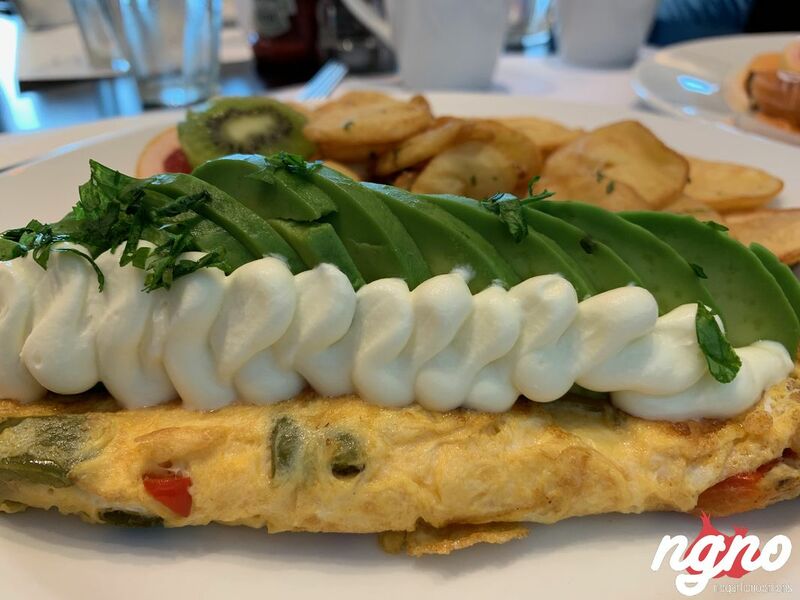 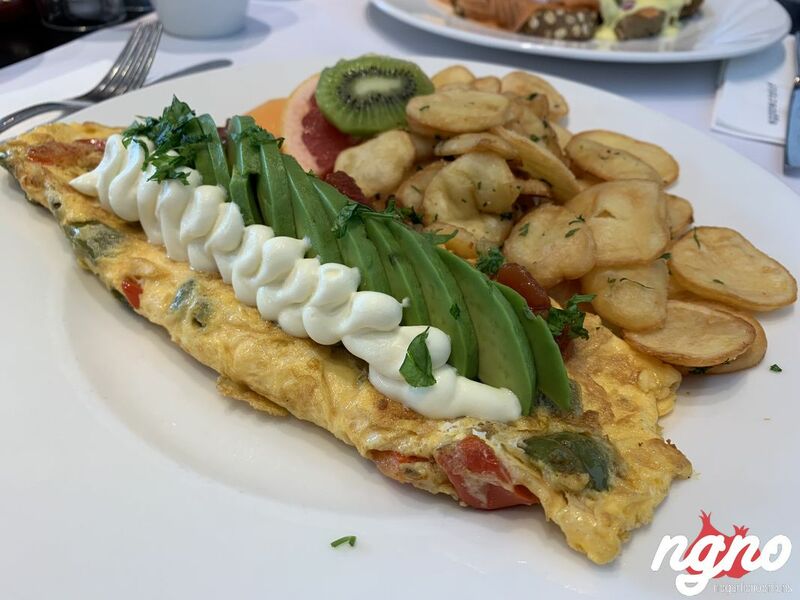 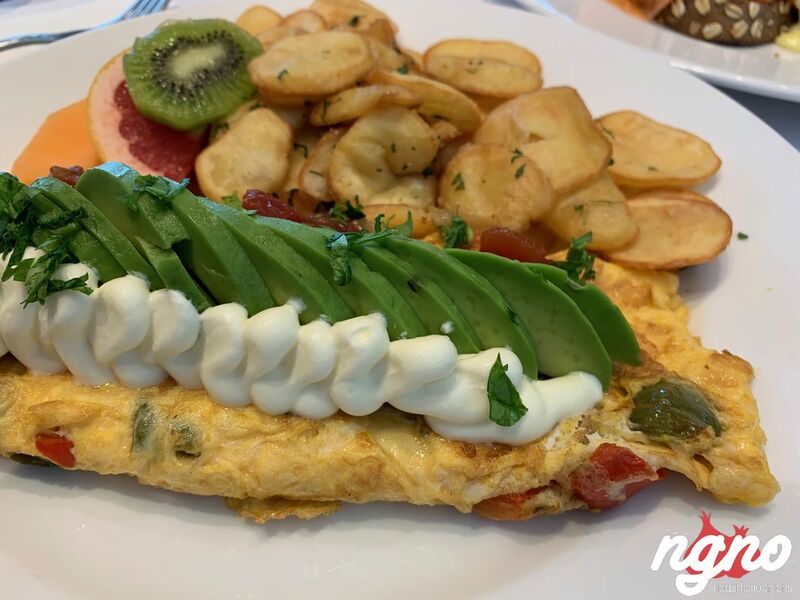 Below expectation food; the omelette lacks tenderness, the avocado is too cold, the hollandaise is sweet, the crepe is chewy and the cheese sandwich is so unpleasantly sweet and crunchy when you don’t even feel the cheese. 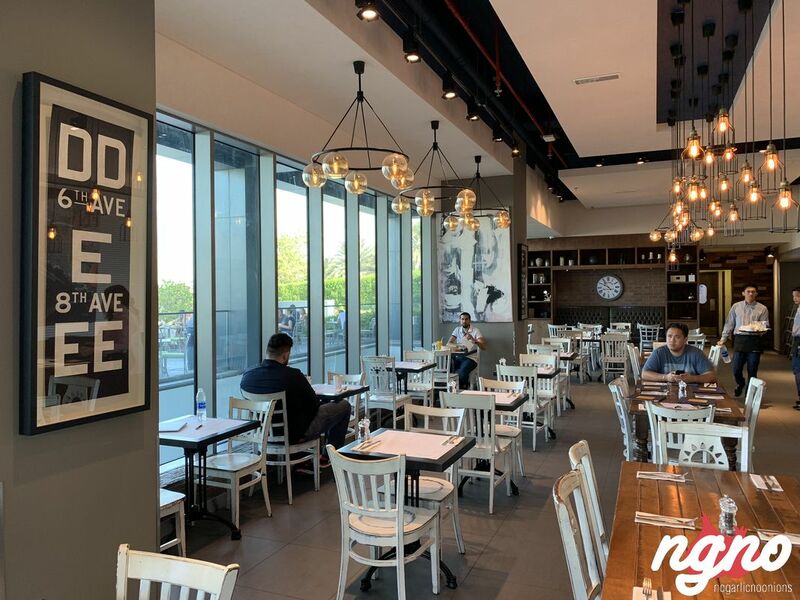 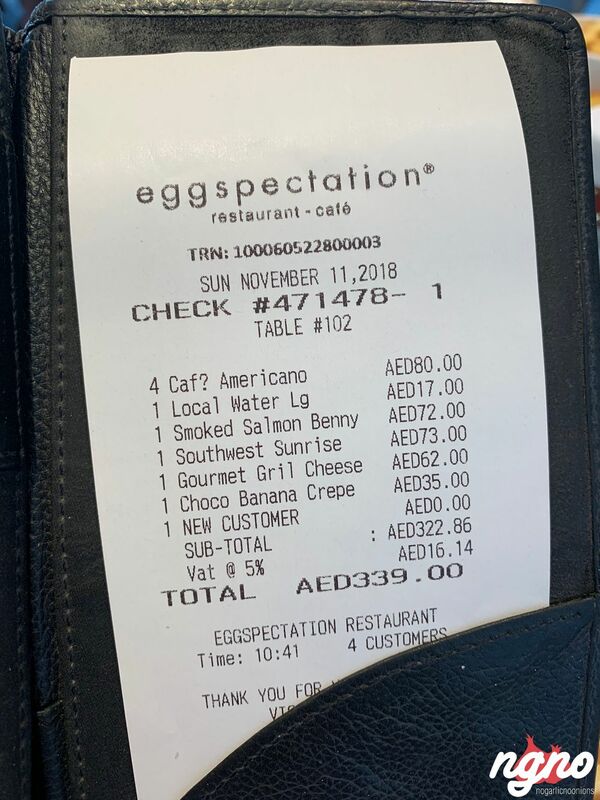 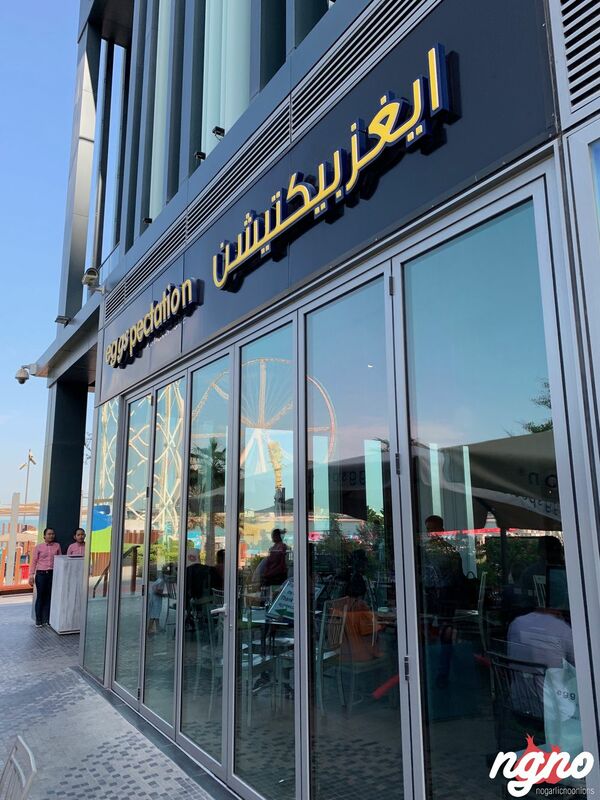 An unsuccessful franchise in Dubai.